The hallmark of King Solomon’s reign over the flourishing Kingdom of Israel was wisdom. He prayed for it, applied it in all his decisions, and valued it so highly he wrote many proverbs extolling the virtues of prudence and good counsel. Solomon lived to a ripe old age, devoted to wisdom throughout his life. 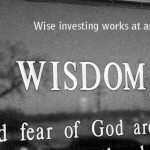 Wisdom is a hallmark of maturity, and wise investing can begin at any age. As a matter of fact, the middle years of life –those usually spent preparing for retirement, or embarking on post-retirement life – can be an ideal time for investing in income property. And if you’d like to emulate the wise King, it’s important to remember that age does bring wisdom – and the time to start an investing career. Many Americans are finding that planning for retirement isn’t what it used to be. Since pension funds in some states are collapsing and the future of Social Security is questionable, these “pre-retirees” who haven’t planned for retirement may find options limited in a rapidly changing financial landscape. Investing in income property is a long-term strategy that can create retirement income on your own terms. Properly done following Jason Hartman’s investing strategies, the income and tax deductions for property ownership can provide income for every year of the investment. That income is derived from a combination of low-interest, fixed rate mortgages, and tenant rents and tax breaks offer even offer some relief if a rental goes vacant for a period of time. Although income property investing is a long-term proposition, that doesn’t mean that you must wait years to see a return on the investment – a possibility that can deter retirees who want, or need, a relatively quick return. With properties ready to be rented or renters already in place, the rent checks that cover your mortgage and more are available right away. Income property ownership can require an investment of time and money. Regardless of how hands-on or hands off you choose to be in managing your properties, you can still claim the tax deductions associated with managing and maintaining the property, and your investment business doesn’t require a self-employment deduction. In retirement, you’re free to devote as much or as little time and effort as you choose to managing your investments. You can engage a property manager or handle all aspects of the project yourself. Jason Hartman advises investing in diverse markets as a protection against a collapse in any one area. By purchasing as many properties as you can in various areas, you can establish a steady income stream that holds up even if one property goes through an extended period of vacancy. Prudent investing in the right properties keeps the income coming for the life of the investment.